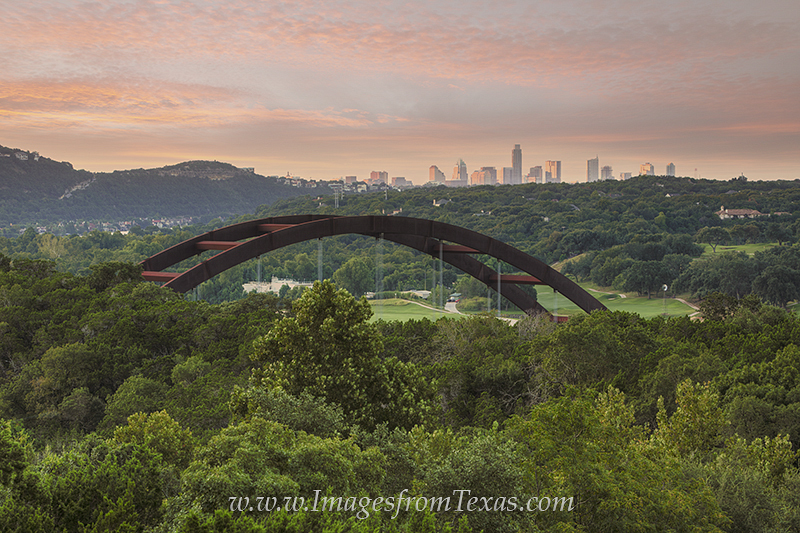 The 360 Bridge seemingly rises from the dense trees along the intersection of the Colorado River and the Capitol of Texas Highway. In the distance is Austin, Texas, on a perfect mid-September morning at sunrise. Photo © copyright by Rob Greebon.